Do you want to understand the science behind why people share? During this fascinating interview I explore these very concepts. 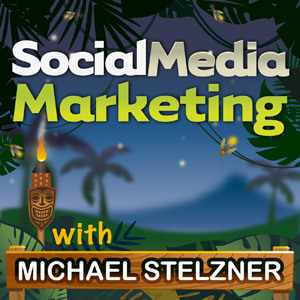 To learn the reasons why people widely share content, I interview Jonah Berger for this episode of the Social Media Marketing podcast. In this episode, I interview Jonah Berger, author of The New York Times bestseller, Contagious: Why Things Catch On. He’s also a marketing professor at the Wharton School and columnist for BusinessWeek. Jonah shares the reasons behind why people engage with word of mouth and why marketers should pay attention to this. You’ll learn about the 6 principles that drive people to share. As a scientist, Jonah thought it would be interesting to study why things go viral or why certain stories circulate around the water cooler. He grew up studying math, chemistry, computer science and material science and thought it would be interesting to apply these hard science tools to social science problems. 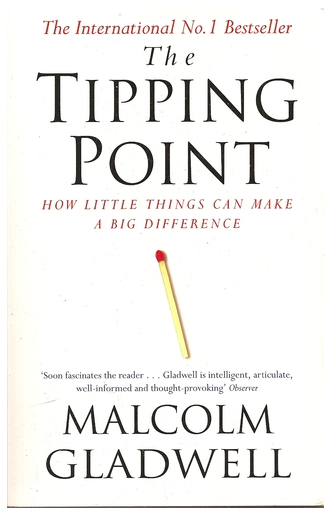 It was after reading the book The Tipping Point that he was inspired to think about these things and soon realized there hadn’t been a lot of research done on the subject. The Tipping Point was one of the inspirations behind Jonah's research. Listen to the show to find out why he spent his academic career trying to study these things and bottle the phenomena. Jonah starts with how a lot can be done with social media and that there are tons of content out there already from many brands and organizations. Some content does better, but it’s not about luck and it’s not random. Jonah and his team spent a decade doing research to try to understand why people share word of mouth. With the 6 principles they discovered, you can make it more likely for your own posts to be contagious. People will share them and pass them onto others. You’ll find out what the research entailed and how it led to the discovery of the psychological drivers behind sharing. Word of mouth can be over 10 times as effective as traditional advertising. People trust word of mouth more. It’s also more targeted than traditional advertising. Plus it’s cost-effective, if you can get it to work. It doesn’t cost you anything to get people to talk about your brand. However, it requires you to understand why they are talking about some things rather than others. Following the rigorous academic research, Jonah decided to write the book Contagious to help people apply the insights, so their products and ideas could take off. The book helps guide people in how to apply the science of sharing. Jonah explains how when the science was applied to a number of different companies to increase word of mouth in a given campaign, there was an increase of 20-50%. You can definitely guarantee more views and more shares when you follow the 6 principles. Listen to the show to find out what you need to do to help activate your existing customers and get them to spread that message to more potential new customers. Jonah gives the high-level of each principle, which is called the STEPPS framework. These 6 principles drive people to talk and share. These steps are based on psychology. It’s about being able to understand the motivation or the drivers that cause us to pass things on. Some people wonder if you need all 6 principles for it to work. Jonah says the best way to think about it is as a recipe. The more ingredients you have, the better the end result will be. Although these principles are based on a decade of research, Jonah states that research will always move forward. These psychological concepts have been shown to drive behavior across a host of different audiences and products or ideas. You’ll discover which area the investigation started in and how the same drivers that caused people to share kept showing up time and time again. The same drivers that caused people to share were seen with The New York Times articles and YouTube. Social Currency. Jonah gives a great example of how LinkedIn applied social currency to their users. 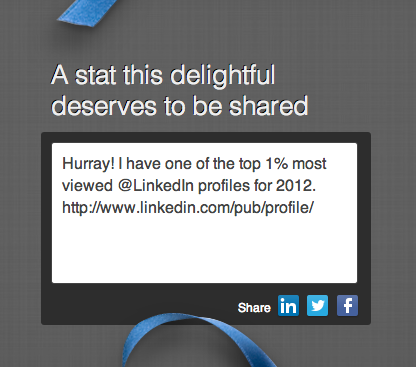 LinkedIn sent their users an email that informed them they were one of the top profiles on their site. When people received this email, not only did they feel special, they shared this information with others. LinkedIn made it easy for users to share their new status. You’ll hear why it’s a perfect example of why people want to share this kind of status. In the book, Jonah gives an example of a hidden bar inside a hotdog restaurant and how people love to talk about it because it’s a secret. The fact that no one else knows about it can make you look cool. As a marketer, one of the greatest ways to employ social currency is to make people feel like insiders. You need to make them feel like they are part of a special club or have some sort of status that nobody else has. Not only is it good for them, it’s good for the brand too. You’ll hear two examples of how Google used social currency and how you could apply it to your business. Triggers. When it comes to triggers, Jonah states that they are equally if not more important than social currency. Jonah uses Rebecca Black‘s song, “Friday,” as the perfect example. The song was one of the most viral videos of 2011. It had over 300 million views, yet everyone hated it. When Jonah dug deep and looked into the data of the number of searches for the phrase “Rebecca Black” on YouTube, the spikes weren’t random, they were every 7 days. Actually every Friday. Which is the same name as the song. So although the song is bad, no matter what day of the week, Friday provides a ready reminder. This is what psychologists call a trigger. It triggers us to think of the song and then share it with others. The idea is that if it’s top of mind, it will be tip of tongue. The idea of a trigger can include sight, sound, smell or anything in our environment that will activate something else in our mind. You’ll hear what researchers uncovered when a certain style of music is played in a grocery store. For you to understand what the triggers are for your industry, you need to consider the context. Look at who your customers are and what their environments are. Jonah tells the story of what a steakhouse in Philadelphia did to cut through the clutter and why they are still around over a decade later. Another great example is when Kit Kat decided to do a campaign to try to improve their sales a few years ago. It was a very simple idea of a Kit Kat and a coffee. Kit Kat created a campaign that included a trigger. You’ll hear the reason why they picked coffee and why it linked their product to a frequent trigger in the environment. Stories. Jonah believes that stories are the currency of conversation. Stories provide a way to convey information in a narrative form that makes everyone lean in because they want to find out how the story ends. We think in terms of stories, not just chunks of information. It’s the standard way to communicate. The key is to have a certain type of story. Jonah uses the famous Trojan Horse story as an example. Not only do you need to have an engaging narrative, with a beginning, middle and end, but also need to have a moral too. Morals can stand by themselves, but no one would listen to the moral. It’s the story that makes the moral more engaging. It’s an integral detail. You need to think how you can build a story that acts as a vessel or carrier for your brand. You’ll hear about Blendtec‘s video series called Will it Blend? and why they have had over 150 million views. Will it Blend? videos carry the message of the brand. People find it hard to talk about these videos without telling people how good the product is; therefore, not only is it engaging content—it’s content that carries the message of the brand. It’s a Trojan horse story. You need to make sure your brand’s message is the integral detail, so someone can’t help but pass it along. You have to remember that it’s not luck or chance on how big your business will get, it’s about word of mouth. When you follow these principles, you can get existing customers to talk more and bring new customers to grow your business. If you want to learn about the three remaining principles, which are emotion, public and practical value, then make sure you pick up Jonah’s book. Listen to the show to help you figure out the right story to use for your business. Over the last four episodes, I’ve shared with you a step-by-step guide on how to launch a product and/or company. In this show, I want to focus on how to get people excited before the launch. We knew when we were getting ready to launch My Kids’ Adventures, a sub-segment of the Social Media Examiner audience would meet our ideal criteria. Therefore I wanted to create a special list called the Founders List. My goal was to get 1000 people on this list prior to launch. If you can get that many excited about what you are about to do, it’s a huge deal and can hopefully increase the chances that when you do launch, it’s a big splash. To get people to want to be on the Founders List, I knew I had to create something special. Every week I have provided them with a small behind-the-scenes video of what has been going on with the preparation of the launch. It got a lot of people excited. Another way we got people excited was to include a teaser in our newsletter. You’ll hear what we included in the teaser and the idea behind it. The way I share it in my podcast episodes is educational. By making My Kids’ Adventures the case study, I’m doing some educational marketing. You’ll hear another way I’ll use this case study as educational content and discover other key parts of our marketing strategy. The take-home lesson is to leverage the assets that you already have access to, which may include a podcast, a blog or an email newsletter. Make sure you do it in a fun and creative way that gets people excited about what’s coming. If you want to learn more about My Kids’ Adventures, visit here. Connect with Jonah Berger on his website. 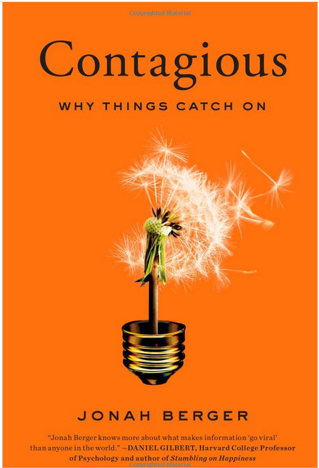 Check out Jonah’s book: Contagious: Why Things Catch On. Register to unlock free resources to help you apply these ideas. Take a look at The Tipping Point. Check out Google Glass, which used social currency. Read more about Rebecca Black. 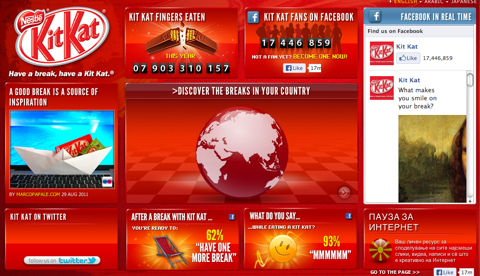 Head over to Kit Kat, which used a frequent environmental trigger for one of their campaigns. 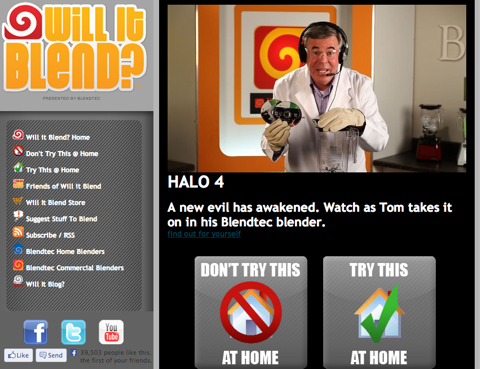 Watch Blendtec‘s video series called Will it Blend?, which has a moral to the story. What do you think? What are your thoughts on why people share? Please leave your comments below.